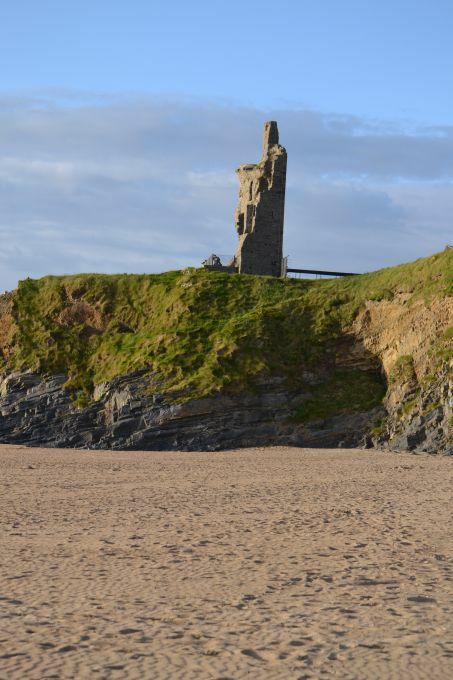 The ruins of Ballybunion Castle stand proudly on the cliff top overlooking the sandy beaches and bear testament to the workers who built it and to the Bunyan family who gave the village its proud name. The ruins belie a rich history going back centuries. 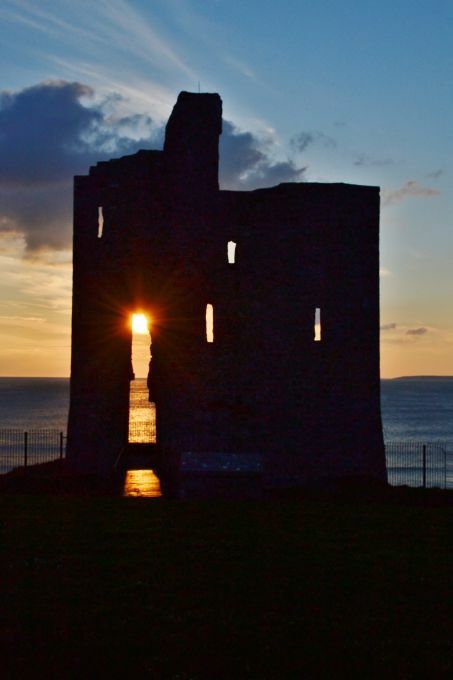 Ballybunion Castle (or Castle Bale Bonan) was constructed around the dawn of the 1500s by a branch of the Geraldine of West Limerick, the Fitzmaurices, who were lords of Kerry and who resided at Lixnaw.The Geraldine forces placed the Bonzons (Bunyan) family in the castle as caretakers. 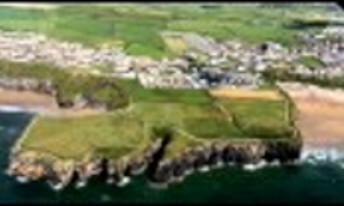 The castle was destroyed by Lord Kerry in 1582 and in 1583, William Og Bunyan had his lands confiscated because of his active role in the Desmond rebellion. 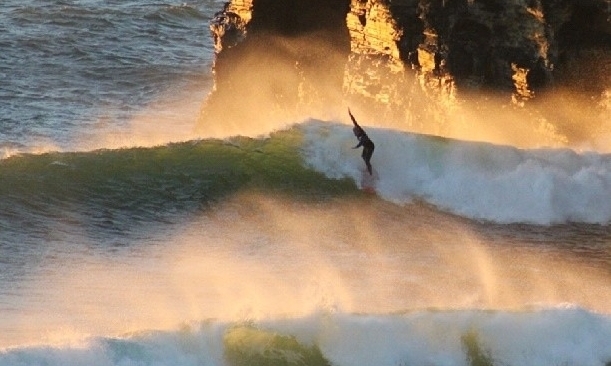 Waiting in the wings was a notorious rebel named Thomas Fitzmaurice who made a submission to King James, and had the lands of Ballybunion confirmed on him in 1612. 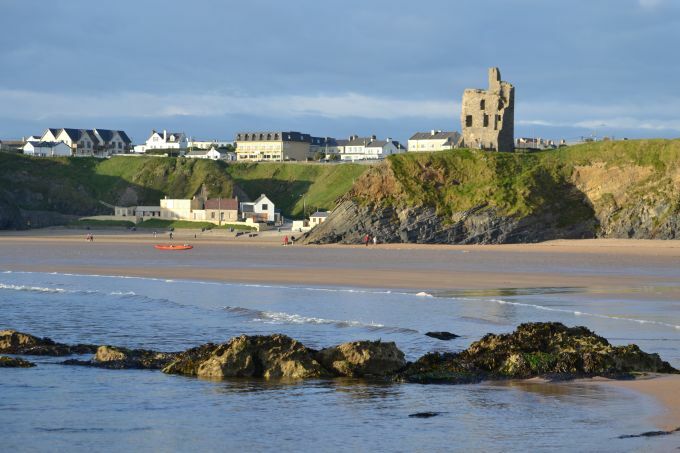 In the centuries to follow, Ballybunion Castle came under the ownership of a Landlord, Richard Hare, (in 1783) and in the 1900s ownership passed to the local Improvements committee. 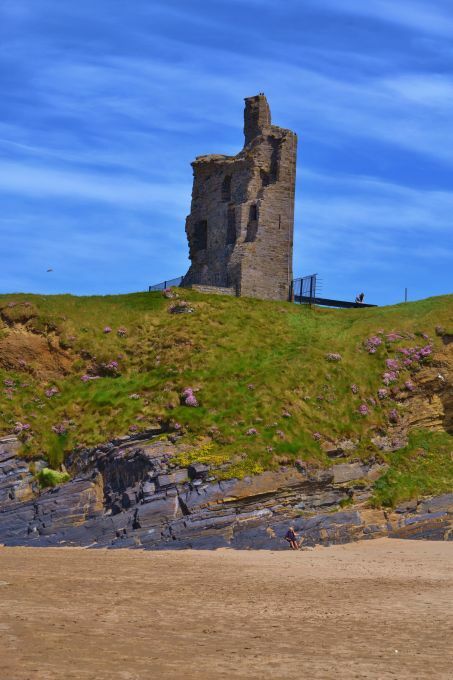 In the 1960s the Castle was sold to Kerry Co. Council who have the sole responsibility in maintaining the ruin. 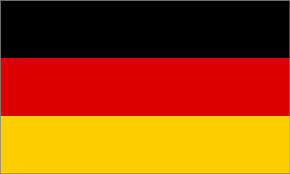 During the winter of 1998, the castle was struck by Lighting and the upper part of the tower was destroyed. 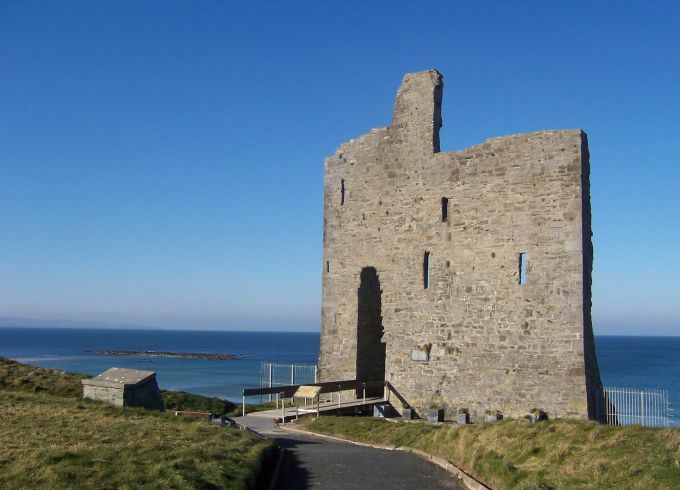 The castle was constructed on a former coastal promontory fort of the Clann O’ Connor, the cut stone for the castle was quarried locally and brought by horse to the site by slaves in military perpetuity. 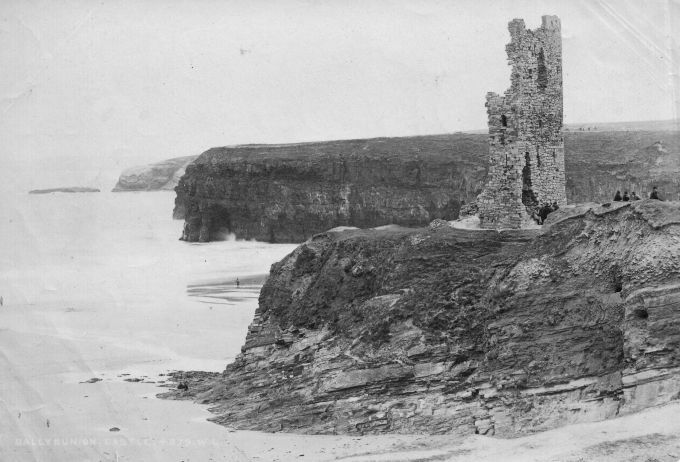 The castle was a tower-house in design,four stories high, and was vaulted. The structure has a spiral stairs which winds in an anti-clockwise direction, a feature unique to this area. 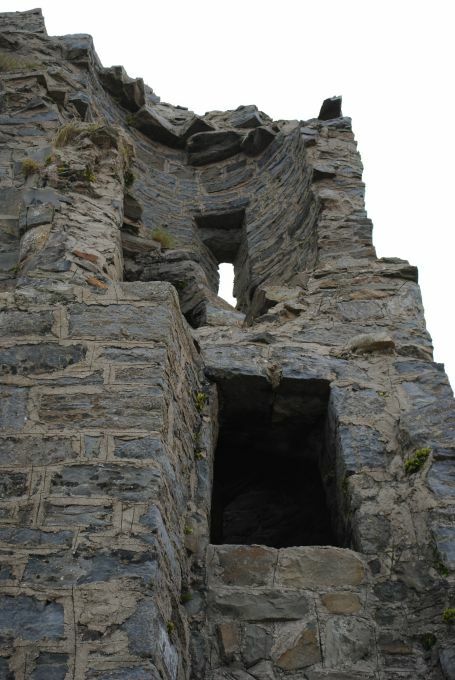 Access to the roof and the battlement were via wooden stairs. The basement was large enough to accommodate supplies for a siege, and the exterior pointing on the walls were of a lime mortar and ox blood mix. The roof was either slate or thatch as both materials were available in the area. The castle also tapped into the underground sous terrain network, laid down during the Iron Age settlement, and this would have been used for storage and for strategic planning. In the 1800s, a local Parish Priest, Fr. 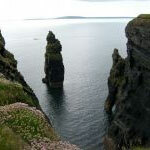 Mortimer O Connor, discovered more sous terrains and ordered them to be filled in on the ladies' beach side of the castle.